Dido gives Zoe the world exclusive first play of her new single Give You Up. Plus Zoe goes behind the scenes of Les Misérables in Backstage Ball. 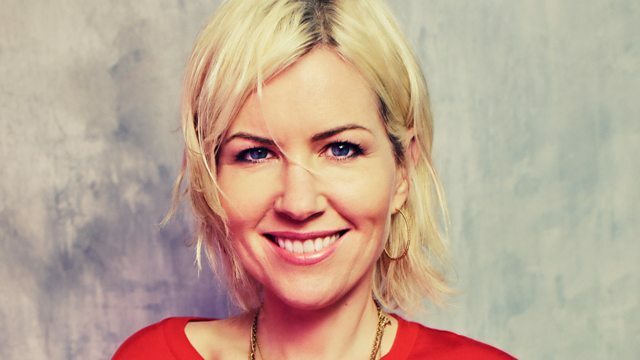 Dido gives Zoe the world exclusive first play of her brand new single Give You Up and chats about her upcoming album Still On My Mind, which is released on the 8th March. It’s Backstage Ball! Zoe goes behind the scenes of the nation’s much loved TV shows, movies and tours to meet the people behind the scenes who make the magic happen. Today Zoe speaks to hair and make-up designer Jacqueline Fowler who's working on the BBC series of Les Misérables, who spills the beans on the dramatic head shaving scenes and painting Aidan Turner in Poldark. Along with Tina Daheley on news, Richie Anderson on travel and Mike Williams on sport, she and the team have the best start to your morning. With celeb guests, quizzes, headlines, tunes chosen by listeners, and more music that you can shake a glitterball at! There's also weather with Carol Kirkwood, Lucy Shuker is live from the Australian Open before the start of the wheelchair tennis, a daily Pause For Thought provided by writer and broadcaster Sarah Joseph and listeners on the line, as Zoe entertains the nation with fun for the family! Level 42 - Level Best. A Place On Earth - Greatest Hits. George Benson - The Very Best Of. The Greatest Showman: Reimagined (Various Artists). Now That's What I Call Music 74 (Various Artists). Goin' Back - Best Of Dusty Springfiel. The Best Summer Ever (Various Artist. Stevie Wonder - Song Review. This week – I’m focusing on my Mum - Valerie Askew. She’ll reach the Big Eight-Oh on Friday. Now to say that she’s had a right life of it – would be massive understatement. He served in the RAF, but that mattered not-a-jot in the racism of the 1960s. Paralysed in her hands, probably from the overwork and exhaustion, she took up modelling in the mid 60s, and then went on to run one of the world’s top model agencies. Along with my Aunt, she had offices in London, Milan, Tokyo, and Los Angeles. Her day to day life included coping with murders, suicides, run-ins with the mafia, yet in the evening she would come home – put on her apron – and cook the five of us a meal. Glamourous model agent by day. Single parent, homemaker, by night. I don’t think us children could understand the enormous pressure, the stress, and the physical exhaustion of keeping it all together. But somehow she did! She was Superwoman, and I reckon her life deserves to be a film! So good thoughts to all the mothers out there, working hard and keeping things together. And Happy Birthday 80th Birthday to my Mum. Thanks for everything! Get the latest on Radio 2's short story-writing competition for kids.